Manage multiple models in a form, supporting validation for each model. For a multi child model see Advanced Multi-Model Forms with HASMANY Relations. Consider a Product model that has a single Parcel model related, which represents a parcel that belongs to the product. 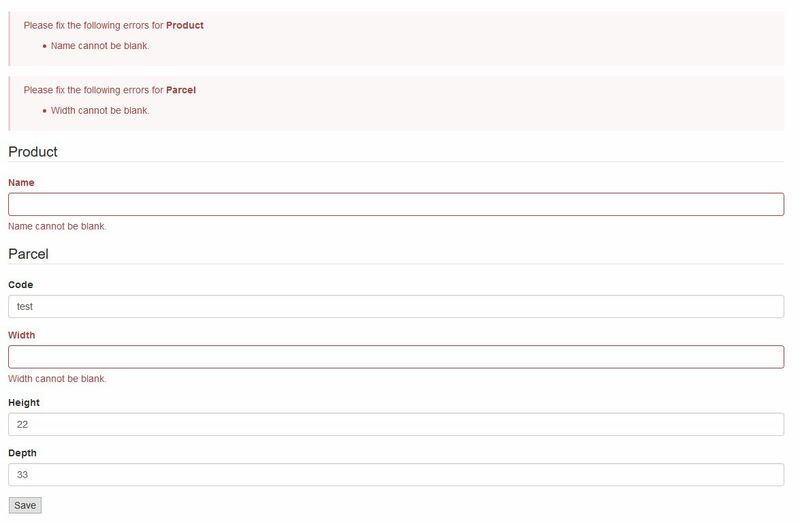 In the form you want to enter information for the product and the parcel at the same time, and each one should validate according to the model rules.